Individual Psychology, developed by Alfred Adler, emphasizes on positive capacities of humans to interpret, influence, and create events in life. From the Adlerian perspective, human behaviour is not determined by biological, genetic, and environmental conditions, but only influenced. Therefore, the importance is not on what limitations we possess but what we choose to do about what is available to us. Adler's Individual Psychology approach places importance on understanding the whole person, all dimensions of a person. All interconnected components are unified and guide a person towards a life goal. The focus is understanding the whole person with all aspects of oneself and in relationship within the socially embedded context of family, culture, school, and work. Importance is placed on interpersonal relationships, and how individual's thoughts, feelings, beliefs, convictions, attitudes, character, and actions are expression of uniqueness and allow one to plan and move toward life goal. Somatic Experiencing® (SE) is a body oriented psychotherapy technique that works with the autonomic nervous system to help release pain, trapped sensations and emotions resulting from trauma, accidents or injuries that may cause other physical and mental illnesses and prevent recovery. 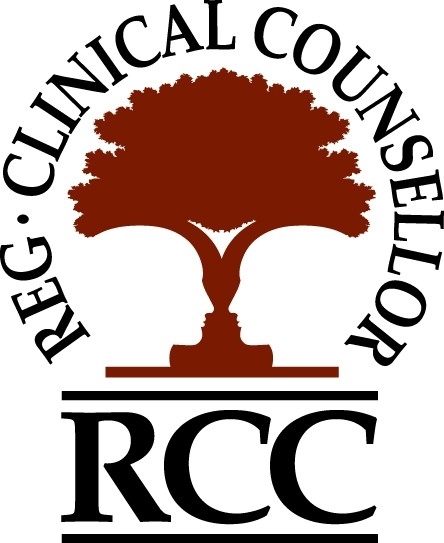 Person -Centred Therapy is therapy based on humanistic Psychology developed by Carl Rogers, focuses on respecting clients' subjective experience, the uniqueness of each individual, and on the trust in the capacity of the client to make positive and constructive conscious choices. The core conditions of Rogerian approach are acceptance of the client, with empathy, genuine curiosity, and unconditional positive regard, which allow client to speak about anything that is going on in their mind without having to worry about how they are being perceived. The main focus of Compassion Focused Therapy (CFT), which was developed by Paul Gilbert, centers around importance of inner compassion development which is a process of developing compassion for the self and others to increase well-being and aid recovery. Compassion and its components may be defined in many ways, but in compassion-focused therapy compassion is understood in terms of specific attributes and skills (Gilbert 1989, 2005a, 2007, 2009). Main focus in compassion-focused therapy is compassionate mind training, which is developed by the therapist demonstrating the skills and attributes of compassion and instilling them in the client. The client is helped in developing an internal compassionate relationship with themselves, therefore replacing the blaming, condemning and self-critical habits. The attributes of compassion are: Care for well-being, which requires harnessing the motivation to be caring for the purpose of alleviating distress and facilitating the flourishing and development of the target of the caring. Sensitivity in which the individual is sensitive to distress and needs, and id able to recognize and distinguish the feelings and needs of the target of their caring. Sympathy involves being emotionally moved by the feelings and distress of the target of their caring. In the therapeutic relationship this means that the client is able to experience the therapist as being emotionally engaged with their story as opposed to being emotionally passive or distant. Distress tolerance means being able to contain, stay with and tolerate complex and high levels of emotion, rather than avoid, fearfully divert from, close down, contradict, invalidate or deny them. The client experiences the therapist as able to contain their own emotions and the client’s emotions. The therapist is not alarmed, shocked or frightened by the client’s emotions or, if they are, they contain it and act in an appropriate way. Empathy feeling involves working to understand the meanings, functions and origins of another person’s inner world so that one can see it from their point of view. Empathy takes effort in a way that sympathy does not. Self-empathy is the ability to stand back from and understand our own thoughts and feelings. Non-judgement involves being non-judgmental, which means not condemning, criticizing, shaming or rejecting. However, non- judgement does not mean non-preference. For example, non-judgement is important in Buddhist psychology where we learn to experience the moment ‘as it is’. However, this does not mean we do not have preferences. The Dalai Lama would very much prefer the world to be less cruel and more compassionate. Dialectical Behaviour Therapy is a treatment developed by Marsha Linehan initially for suicidal populations, those with borderline personality disorder, and other severe and complex mental disorders, particularly those that involve serious emotion dysregulation, and it has also been very successful in treatment of drug misuse and many other problematic behaviours. Dialectical behaviour therapy (DBT) is a cognitive behavioural approach that emphasizes the psychosocial aspects of treatment. The theory behind the approach is that some people are prone to react in a more intense and out-of-the-ordinary manner toward certain emotional situations, primarily those found in romantic, family and friend relationships. The Four Modules of Dialectical Behaviour Therapy are Mindfulness, Interpersonal Effectiveness, Distress Tolerance, and Emotion Regulation. DBT theory suggests that some people’s arousal levels in such situations can increase far more quickly than the average person’s, attain a higher level of emotional stimulation, and take a significant amount of time to return to baseline arousal levels. DBT is suitable for individual weekly psychotherapy sessions that emphasize problem-solving behaviour for the past week’s issues and troubles that arose in the person’s life. Self-injurious and suicidal behaviours take first priority, followed by behaviours that may interfere with the therapy process. Quality of life issues and working toward improving life in general may also be discussed. Individual sessions in DBT also focus on decreasing and dealing with post-traumatic stress responses (previous trauma in the person’s life) and helping enhance their own self-respect and self-image. DBT is also suitable for those who prefer group therapy, and weekly group therapy sessions, generally 2 1/2 hours a session are led by a trained DBT therapist, where people learn skills from one of four different modules: interpersonal effectiveness, distress tolerance/reality acceptance skills, emotion regulation, and mindfulness skills are taught. Existential Therapy influenced by Rollo May, James Bugental, Irvin Yalom, and Victor Frankl' philosophical model which states: "To be alive encompasses the ability to take hold of life day by day as well as to find meaning in suffering". According to Rollo May, it takes courage to "be", and our choices determine the kind of person we become. Irvin Yalom focuses on ultimate human concerns which are death, freedom and responsibility, existential isolation, and meaninglessness. Yalom's themes are drawn from philosophers Kierkegaard, Nietzsche, Heidegger, Sartre, and Buber, on anxiety, despair, fear, guilt, death, suicide, will, authentic being, caring, individual responsibility, meaninglessness, choice, interpersonal relationship, and self-transcendence. Approaches which focus on becoming increasingly observant and aware of external and internal stimuli in present moment and developing attitude of accepting rather than judging the current situation. Focus is on present moment and awareness, and approach is nonjudgmental awareness of experiences, acceptance rather than trying to control or change unpleasant sensations, and development of coping techniques in order to promote physical and psychological well being. Four major approaches are Dialectical Behaviour Therapy, DBT (Linehan), Mindfulness Based Stress Reduction, MBSR (Kabat-Zinn), Mindfulness Based Cognitive Therapy MBCT (Segal), and Acceptance and Commitment Therapy, ACT (Hayes) as well as Mindful Self-Compassion, MSC (Neff & Germer). ​Any parts of these theories may be used during the time you are being assisted in finding your own way.